Redway Runners marked 100 years since the end of the First World War with a special run to remember on Sunday 11th November. 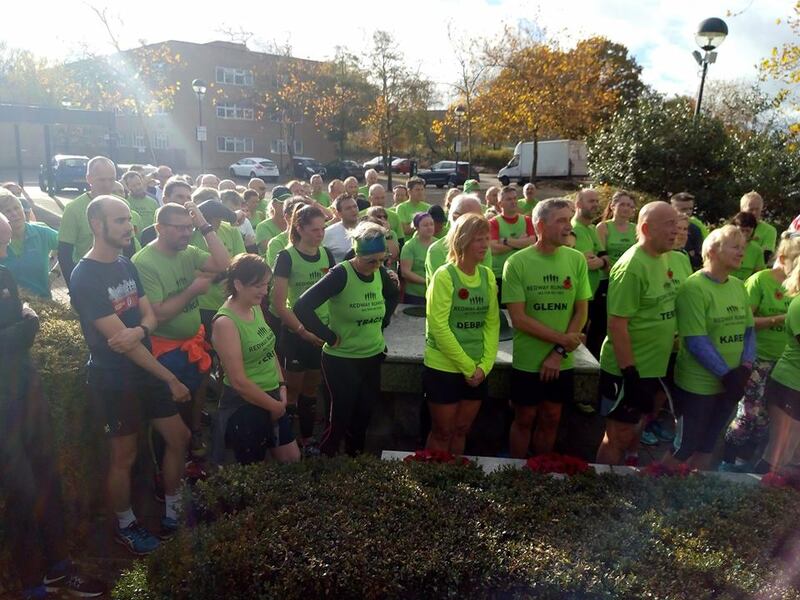 130 local runners attended a remembrance run, which included stops and moments of reflection over the course of an 11km route. The group reflected on local soldiers from the Milton Keynes area as well as international soldiers. Runs stopped at New Bradwell Cemetery and then at the Memorable Order of Tin Hats (MOTHs); a monument reflecting on the lives of soldiers from South Africa. A further 40 runners completed a separate remembrance run, stopping at St Andrew’s Church to hear the testimonial of C.L.Stopwell. The lives of three young soldiers were then celebrated at New Bradwell Cemetery. War graves in local graveyards are populated by young men who either died in training exercises or who died when back in the UK from injuries sustained in action. Both runs ended with two minutes silence at 11am. Full testimonials of remembered soldiers can be found at http://www.redwayrunners.com/redway-runners-remembrance-run-11-november-2018/, along with more information about Redway Runners. Redways Runners are an inclusive running club in Milton Keynes with multiple weekly runs across the town. Runs are suitable for all abilities.